FRESNO – Six women representing Fresno, Kern, Kings, Madera, Merced and Tulare counties have been selected as the 2013 honorees for the Common Threads Award, which recognizes women from the San Joaquin Valley for their agricultural, philanthropic and community service. The Common Threads Award recipients for 2013 are Stephanie Marchini of Le Grand, Sandra Faust of Chowchilla, Jane Bedrosian of Fowler, Elsie Oliveira of Hanford, Karri Hammerstrom, of Kingsburg and Lori Cardoza of Tulare. These six Valley women, who have strong agricultural backgrounds and are active participants in their counties through philanthropic endeavors and community service, will be recognized at a special luncheon at 11 a.m. Thursday, April 11, at Fresno State’s University Courtyard Dining Hall. The 17th Annual Common Threads luncheon will feature award-winning Fresno State wines, a raffle and the Common Threads Award presentation. Tickets are $35 per person by April 4 and $50 after that. Net proceeds raised from the luncheon support the California Agricultural Leadership Foundation (Ag Leadership), Ag One Foundation and charities of the honorees’ choice. 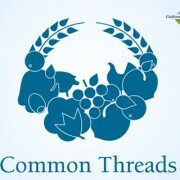 Common Threads is a collaborative effort of Ag Leadership, California State University, Fresno’s Jordan College of Agricultural Sciences and Technology, and Fresno State’s Ag One Foundation. For ticket information or sponsorship opportunities, contact Emily Clark at Ag Leadership, (831) 585-1030 or Shannon Fast at Ag One, (559) 278-4266.